The following body sensors have been owned and used by Hans Sundgren. One morning Hans feels sick when standing up moving his head. He decides to buy a blood pressure monitor. After some investigations he select a wrist type because it is easy to attach. The monitor he choses has NFC communication and Hans' computer has an NFC interface. When the package arrives Hans notices that an NFC tray with USB connector (HHX3-IT3-E) is included in the package. 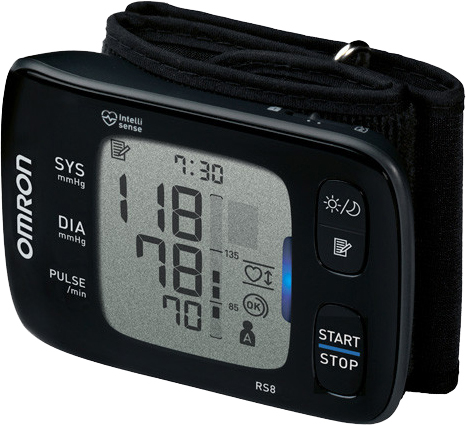 The monitor is connected via Bi-LINK Gateway to the health management application Bi-LINK on https://bi-link.omron.com. The measurements are then viewed on a dashboard. Bought from Medistore 2019-03-20 for 1470 SEK. Very easy to attach and to use. The measurement has to be made with the elbow in a certain angle on a table. The date and time has to be set after battery replacement. 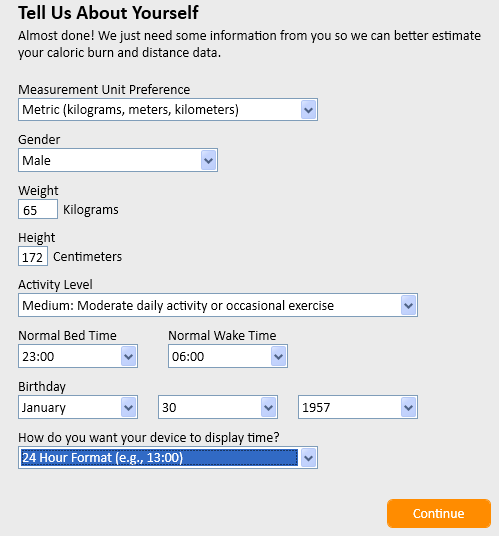 Hans noticed that a new wireless scale is available. 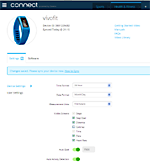 It reports automatically to a web page and the data can then be viewed on the iPhone. 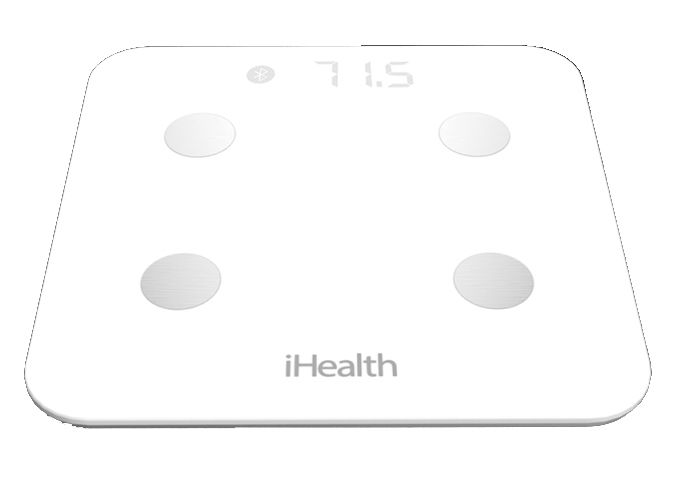 Cost: 135 EUR from iHealth Labs Europe. Report the weight automatically to Xxxxx. Not all values are available in the cloud. 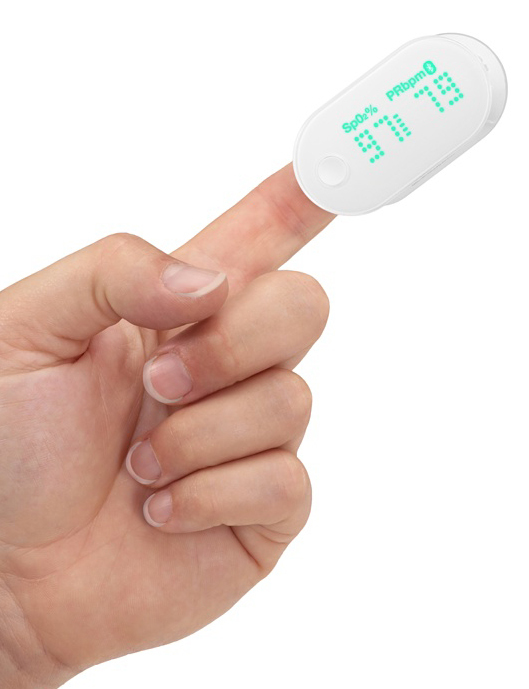 Room temperature and humidity can only be read manually. 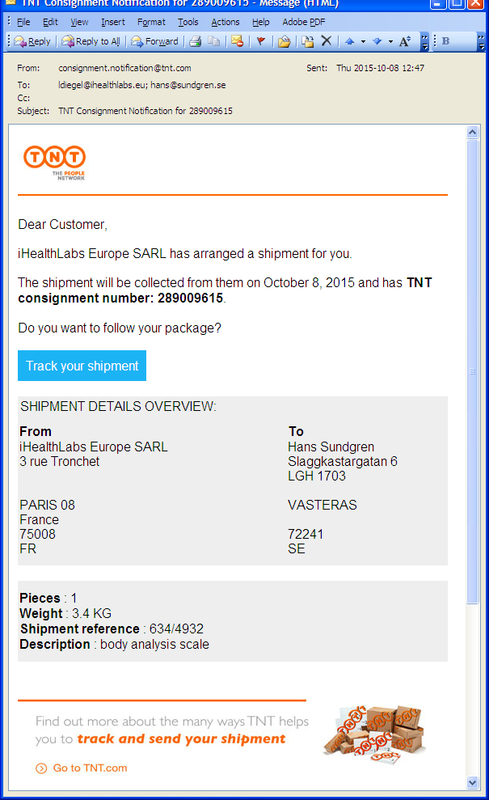 TNT transported the scale from Paris to Västerås. The shipping cost 5 EUR is included in the price. 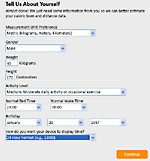 The data is stored in the iHealth MyVitals App. 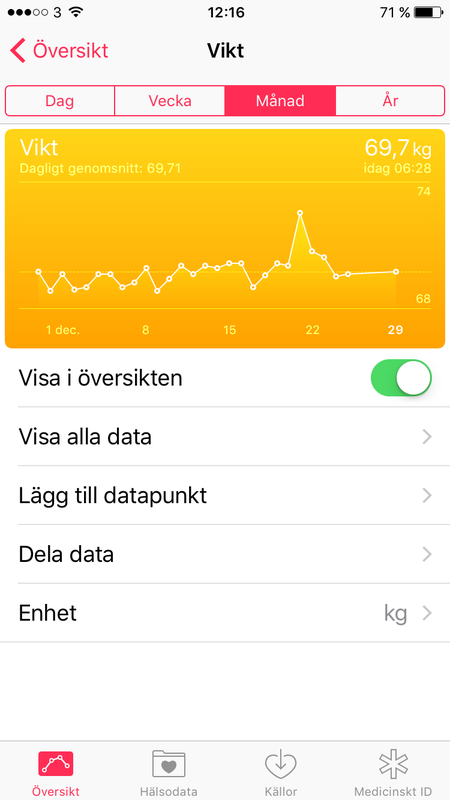 The data is also shown in the Apple Hälsa App. 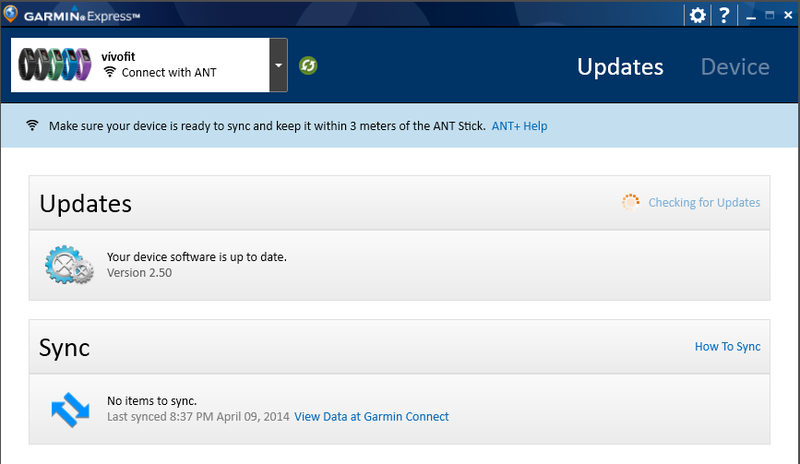 As a result of the synchronisation Hans' Garmin connect account gets a new panel. 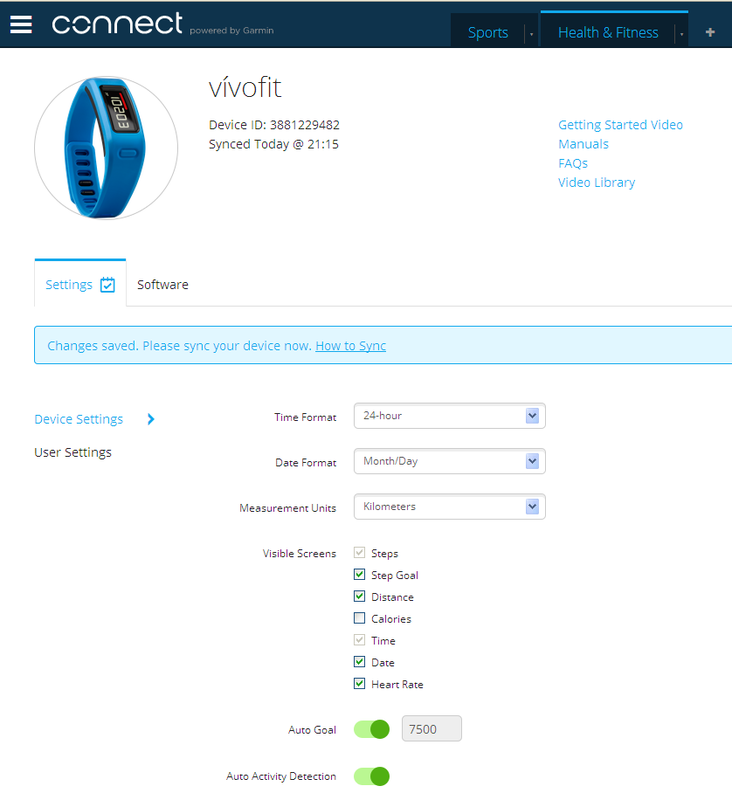 The data from the GPS clock is available under "Sports" while the Vivofit data is available under "Health & Fitness". 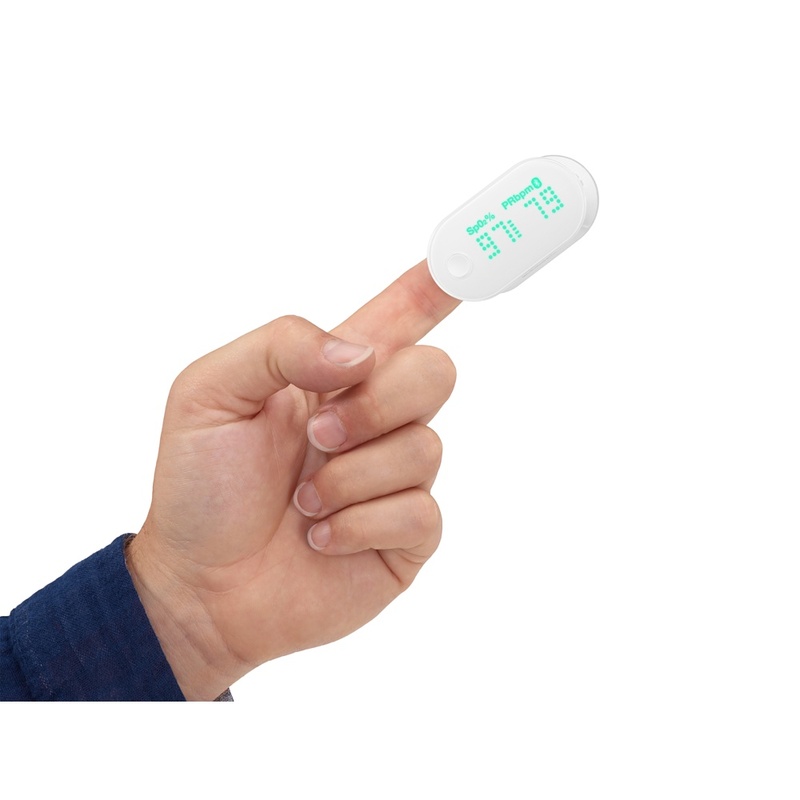 Hans investigates what body sensors that are available on the market and finds the pulse-oximeter. He has experience from that type of sensor when he was in hospital some year ago for a coronary catheterization. Cost: 619 SEK from Apple Online Store. 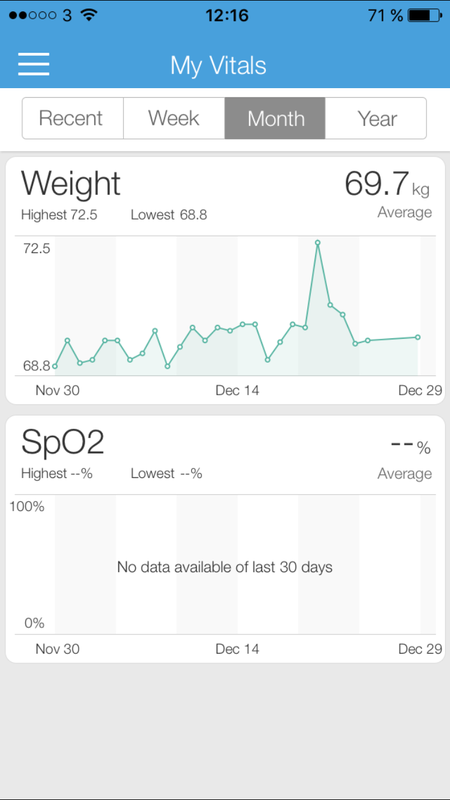 Can be used off-line from iPhone storing up to 100 measurements. Not compatible with Hans iPhone 4 with Bluetooth 2.1. The unit requires Bluetooth 4.0. Can not be set for continuous logging. Hans wants to measure things and when this activity sensor was available in Västerås he decided to get one for sleep measurements. Cost: 999 SEK from Kjell & Company in Västerås. Light weight with only 14 gram and long running time on one charge. Detailed reports on the web costs an annual fee. Probably not accurate sleep measurements. 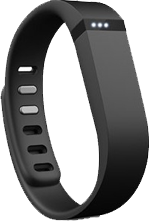 The awake time might be based on moving the arm with the wrist band. 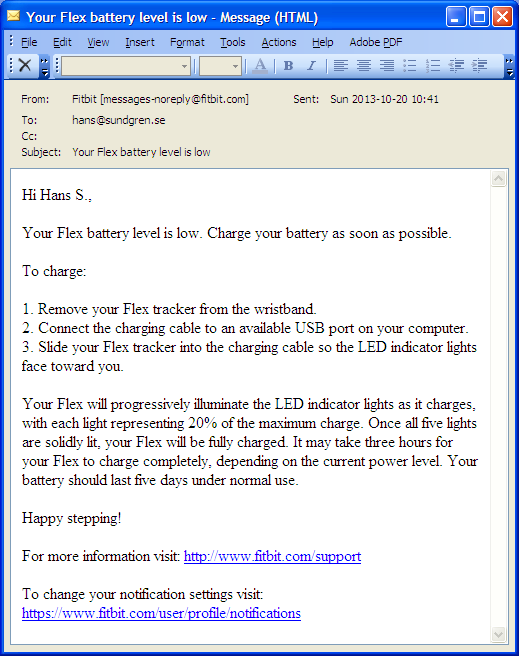 One morning Hans receives an email stating: "Your Flex battery level is low. 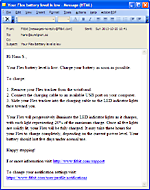 Charge your battery as soon as possible", together with instructions on how to charge the unit. Very convenient! The wrustband is located 10 meters from the synchronising computer. 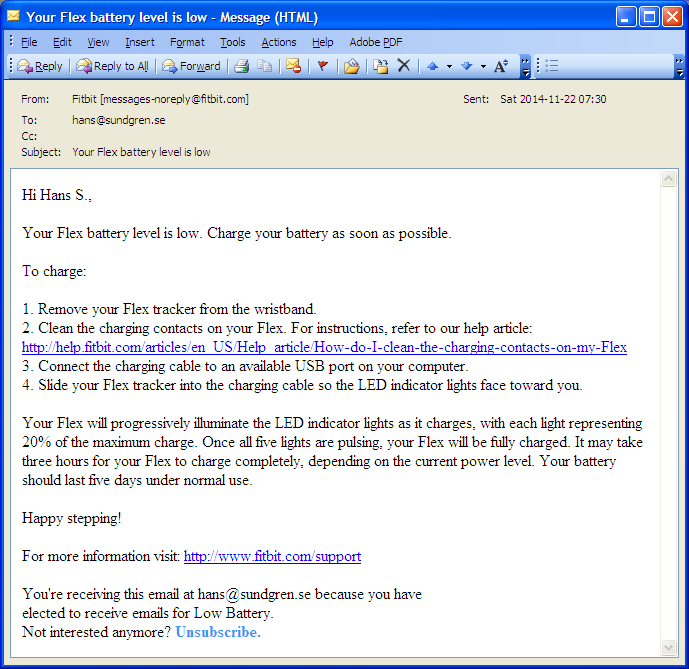 Hans receives an email stating: "Your Flex battery level is low. The email now contains instructions on how to clean the contacts. This is a problem area. In order to start the charging, the contacts often has to be clean or wetted. Hans wants to measure as many parameters as possible and noticed that a foot pod would be interesting to attach to the shoe. 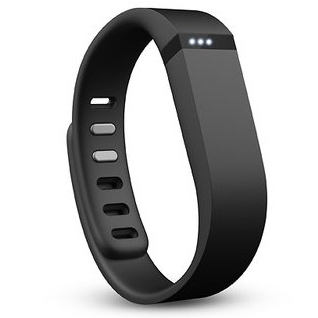 By this he is able to calculate the average stride length when running. 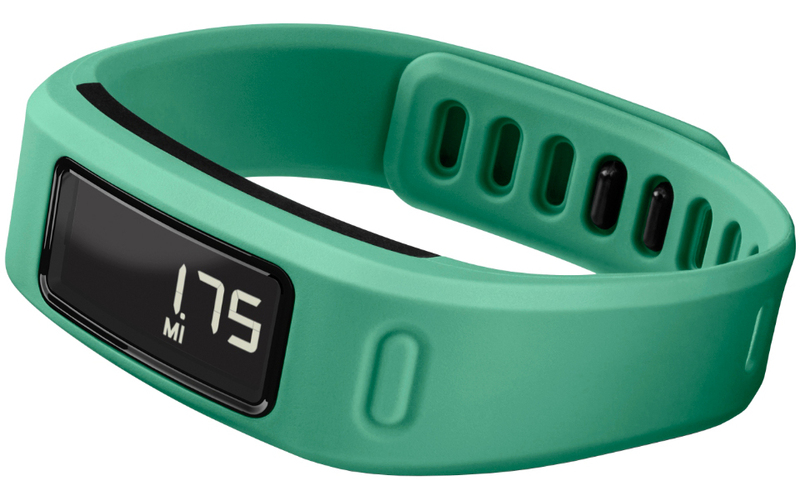 The unit operates together with the Garmin Forerunner® 405GPS clock. Cost: 695 SEK at Outdoorexperten in Västerås 2013-07-22. Small and light, easy to fit and use. Nice integration with the GPS clock. The battery last only some weeks. 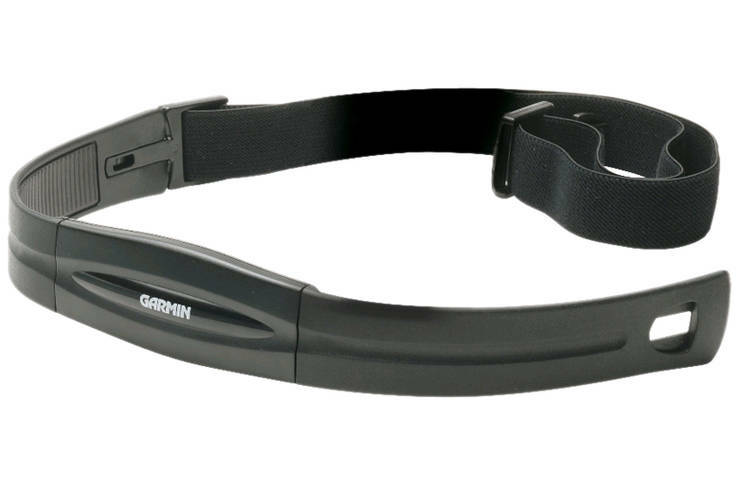 Hans got the Garmin Forerunner 405® GPS clock and since that unit could be bought with a pulse belt, he got that. 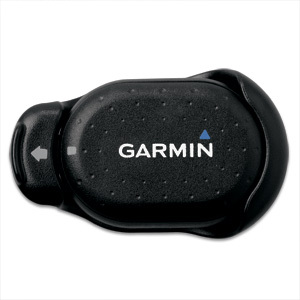 Cost: Included in the price for the Garmin Forerunner® 405GPS clock. Very easy to use. Nothing to think about. Very long battery life time; 3 years! Sometimes, but very seldom, strange measurements showing too high heart rate.